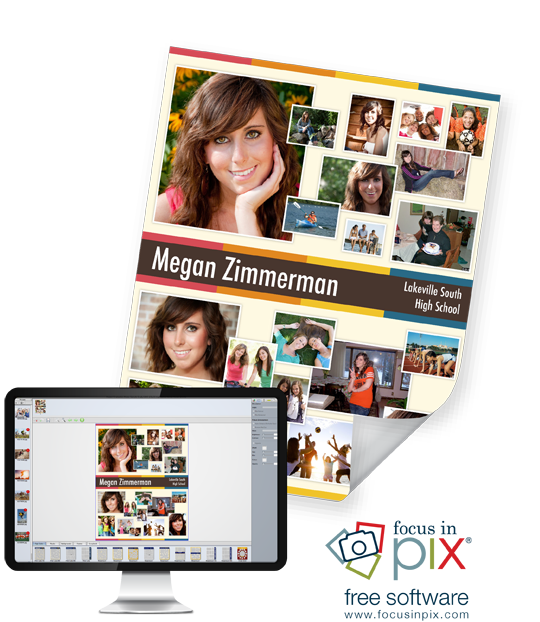 Download and install Focus in Pix on your Mac or PC to create a high school senior poster honoring your graduating senior! There are many templates to choose from, so most of the design work is already done for you! 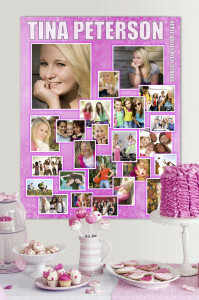 Simply add your own pictures and then edit our designs any way you want to fit your personality. There is also a large selection of backgrounds and scrapbook items to enhance your design — or you can add your own clip art, backgrounds and fonts from your own computer! Check out some of the poster designs you can make here! 1 to 2 days not including UPS shipping / courier. Ground Shipping available for an additional fee.